As an experienced Canadian web hosting provider, we’re well aware that not ALL of our clients are in business – and more specifically in e-commerce businesses. There’s a good number of you who have your basic web hosting packages for personal interest or promotional websites, and for those folks knowing how to rank higher on Google search results won’t be as pressing a need. For the rest of you who are fully into competing for higher search engine rankings, it’s a fact that Google is constantly altering and updating its algorithms. Let’s discuss approaches that are in line with the current search engine tunings coming from down there in Silicon Valley. Many factors come into play as these aforementioned Google algorithm’s regularly evolve. Many of these transformations are in response to measurable changes among users’ habits (The increasing predominance of mobile web browsing, for instance). The way people consume search results and act on them plays a significant factor too, and Google monitors and analyzes every little detail extensively. Here’s what you need to know about what determines online search results in 2017. How’s all of this relevant, you ask? These featured snippets are extracted straight from the content of a website. One singular website that Google deems to have the best answer. If you want that website to be yours, you need to try to think about what questions your customers are asking and address those answers in as clearly and directly a manner as possible, and in the type of plain language that would make it easy for even the most unfamiliar individual to digest and comprehend. Having these answers and text listed in bullet point form is often recommended, with the question on top. This increases the chances that Google will choose your site’s content to display in a featured snippet. It’s natural that as users become more accustomed to looking for information on Google and other search engines, they are becoming more discerning with their searches. For example, instead of just looking for a “fishing reel,” a searcher today may well enter the search terms “large fishing reel for 2000 feet of line for bar fishing.” In response to the trend, Google is also becoming more adept at displaying results that match the specific intent of today’s searchers. To successfully optimize your site, you want to be explicitly dialled in to your customers search targets. The more you understand their specific intent, the better you’ll do. Aim to target long tail keywords that match what you project to be your prospective customer’s search tendencies. These are keyword phrases that are at least 3-4 words long and really answer your customer’s needs in the most accurate way. Every year, a greater percentage of searches are taking place on mobile devices. Back in 2015, mobile search surpassed desktop search and the gap has only increased from there. Google therefore announced in November that they have “mobile-first” index on its way, where they will prioritize your mobile site over your desktop site when determining your rank. The long and short of that is that – for most business websites – optimizing your mobile web page will be more important. Google is also on the lookout for accelerated mobile pages (“AMPs”) which load faster on mobile than regular pages. AMP creates mobile-simplified content for your site that shows up instantly on all mobile devices. Web pages with AMPs tend to rank higher on Google for relevant search terms. Needless to say, you need a great mobile version of your website. That’s nothing new, and in truth you really should have one already. It’s not difficult to find a Canadian web hosting provider with a mobile website builder. Once you have yours, you can help make sure your blog posts load faster by turning on Google AMP. Voice search is on the rise as ever-greater numbers of people conduct their searches by speaking with Siri, Alexa and Amazon Home. Sure, voice search still represents a relatively small volume of overall searches, but in the coming years we expect that its influence on SEO will expand considerably. Voice queries are often longer since people speak to these devices as they would to a person. In addition, users turn to Voice search when they want a quick, direct answer such as the weekend’s weather forecast, what was the score in the Leafs game, or where’s my nearest Pho restaurant? When it comes to providing simple answers to simple questions Google will be providing that information directly in the SERP and that means the viewer is unlikely to need to reference secondary sites. To attract valuable traffic away from the SERP and to your website, you want to create what’s called complex content. You can also try to attract clicks with website content that answers specific, niche questions, ones that Google wouldn’t be able to answer instantly right in its result page. Long story short, you will be able to attract clicks to your pages when you hone in on information that users won’t be able to get straight from Google. Google is a business and all successful do not rest on their laurels. These days, Google is sending more search traffic to ads or to websites that they own. They’re perfectly within their rights to give preference to the sites that can earn them clicks – and revenue! Research indicates a full 49% of Google search traffic is going to Google owned properties like YouTube and Google My Business. If you want your business to show up on SERPs, promote yourself on Google-owned sites like YouTube and Google Maps. Create a YouTube channel and post related videos whenever you can. If you’re a local business, you MUST have a profile on Google My Business and make sure that users can find you using Google Maps. There’s more to optimizing your website for Google search rankings in 2017, and we encourage you to do some research on your own. Considering the value your Internet Marketing has for the success of your business, it’s well worth it. Taking a critical look at big data gives companies valuable insights that allow them to make better-informed strategic decisions. Looking at these insights – and then making smart strategic moves based on your deductions – gives you the edge over your competitors and provides a more complete picture of your business. Undertaking big data analytics isn’t the simplest of processes though. You need the computing resources in place for it to be done effectively, and here at 4GoodHosting we like to share what we know as a Canadian web hosting provider who understands Internet marketing as well. 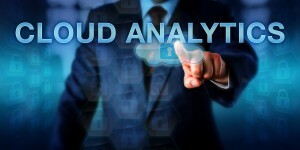 So, What Exactly is Cloud Analytics? Cloud analytics is a cloud-based solution which enables businesses to carry out analyses and related intelligence procedures through integrated cloud models, whether that’s with hosted data warehouses, SaaS business intelligence (BI) or cloud-powered social media analytics. A whole range of analytical tools and techniques are put to work to help companies extract information from massive data and then present it in a way that is easily categorized, readily available via a web browser, and – most importantly – digestible and comprehensible for those who have interests in it. 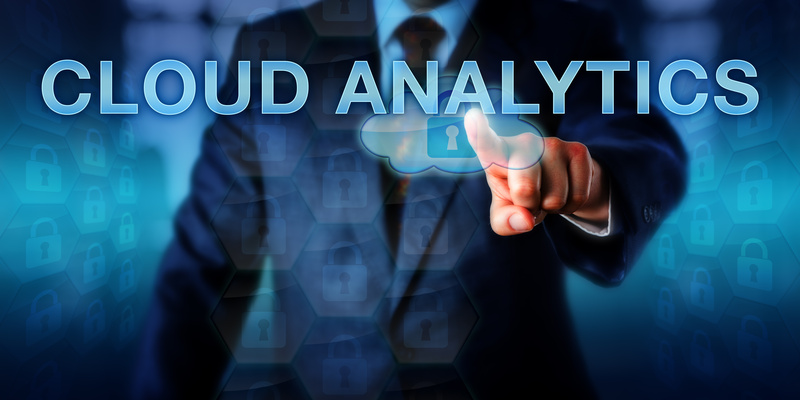 Cloud analytics makes it easier to identify and firmly define what that big picture should be. One of the crucial advantages of using cloud analytics is its ability to consolidate big data from all sources and communication channels that a company employs. The capacity that cloud computing offers allows everything to feed in in a linear and timely manner: you can gather large-scale data from all your internal apps, devices, social networks and data subscriptions. Needless to say, that would be difficult to do in-house and on a single network. Using a cloud-based data management platform lets you easily blend data from a range of sources, enabling it to be matched, merged and cleansed – with the collective volume of data being far more accurate results that enable you to have a unified vision of your business. The key to ensuring everyone sees – and comprehends – this unified vision lies in the ease of accessibility that cloud-based data management platforms provide. Compared to in-house applications which companies tend to be slow in adopting, cloud-based apps are much easier to use and can often be self-taught, reducing the need for staff training and instead utilizing the natural intuitiveness of the staff. Further, employees don’t need to create one-off reports or log into separate systems to undertake analytics. That’s because the technology tends to be embraced more quickly throughout the company. This rapidity means cloud analytics become more accessible to everyone, and the fact they all quickly grasp and embrace it means it’s even more of an intelligent and productive choice. Many companies struggle to build a system that allows team members to collaborate effectively. A mix of in-house and external systems can be less than conducive to developing analytical models and sharing the results. As a result, development lacks pace, work is completed redundantly, and a good many people never get to contribute. This is particularly true for telecommute team members. It’s entirely different with cloud-based data analytics. Teams can work together to curate data, create analytics designs and evaluate outcomes, no matter where they’re based. The fact that each member has access to real-time insights is of particular significance here. It’s a real benefit for operational teams who need those insights to make critical decisions in the interest of the success of the business. Cloud service providers take security very seriously. In fact, most public cloud providers have better security mechanisms in place and are much better at systemic security services than company managed, in-house systems. In-house systems generally use a mix of older technologies and legacy apps that have more vulnerabilities than the state-of-the-art systems found in cloud data centres. Cloud systems also have less complex architecture, making them easier to monitor and defend. The cloud also has an inherent ability to help companies meet recovery time objectives and recovery point objectives should a data disaster occur. Giant backup storage capacity and huge numbers of redundant failover servers make it a cinch for the Cloud to be able to do this, whereas for an independent it would be a staggering expense. 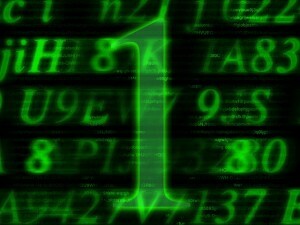 Here at 4GoodHosting, we are one of Canada’s premiere web hosting providers and have our thumb on the pulse of everything related to web hosting, including the newest technological advances that allow you to optimize your Internet marketing efforts and position yourself with maximum efficiency in the business world. These days, there are all sorts of expansive blogs and online discussion forums for pretty much every subject imaginable. The forums in particular are great for talking extensively with similar enthusiasts and getting as much perspective as possible on the things you’re into, and there’s no better place to get recommendations for the best gear or whatever it is you’re looking to acquire. Many of them working with Canadian web hosting providers build their platforms using the popular vBulletin software, including the new vBulletin 5. And yes, successful discussion forums can bring advertisers and thus profit for the webmasters. Websites like these have heavy data demands with the nature of their size and user interactivity. In this business, the I and O in I/O requests stands for input and output, and how that relates to a website is that – when there’s many of them – it’s a lot to ask of the standard drives that will be made available with basic web hosting. SSD web hosting is a specialty here at 4GoodHosting, and we’ve got many customers enjoying the stability and security it provides for their websites. During peak viewing times, the amount of I/O requests can slow down the recall of information from your database. This is especially true for sites on traditional “spinning media” disk drives. The physical limitations of spinning hard disks and the mechanical head restricts the amount of information that can be requested at a given time. SDD hard drives are excellent for database driven applications. A custom application or an e-commerce website needs to have a significant amount of database input and output and as the site gets more traffic the person’s hard drive will be getting much more I/O requests. The vast amount of I/O requests could over time slow down the information from a database. SSD Hosting proves to be much more sufficient because-because SDD hosting has no use for any moving objects or parts data transfer is only restricted by the speed of the network. Want stats? SSDs were able to outmatch the hard disk drives when on the I/O transfer. SSDs were able to push out at least 95 percent more data than the hard disks they were tested against. 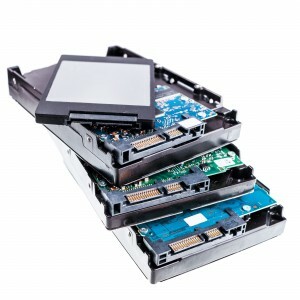 SSDs are not subject to two issues which standard hard drives are encumbered by. The most relevant of these is the rotational latency that is on the disk, and the seek time which it takes for the read/write head to locate the data that is presented on the disk can be an issue too. Generally, your standard hard disk drive takes 20 times longer to obtain data during an instance of a large amount of I/O requests. SSD hard drives are excellent for data loss prevention as well. Most can use RAID cards with the help of battery-backed non-volatile caching, and that is most notably useful should a power loss endanger any unwritten data. With an SSD drive, it would simply be stored in the cache until the server comes back on. Any inbound data at that point would be both written and stored, and crisis averted. Sound like just what you need for your increasingly-popular discussion forum or any other site where data is going to be in demand? Check out our packages with features here and let’s get you set up right! If you’re enthusiastic and / or passionate about a subject matter – and that could be ANY subject matter – blogging about it is almost certainly going to be a personally rewarding experience. That’s particularly true when you receive interaction on your blog, and that’s most commonly in the form of comments and having others link to your blog. It’s a nice feeling to know your writing is being read, and that others are taking an interest in what you have to say. Well, you can! But you need to take a strategic approach to it and get the most ideal web hosting from a reputable Canadian web hosting provider. You not only want search engines to be your friend, you want them to become a powerful ally in making your blog more popular, and thus more profitable. The first most effective way to increase website traffic is to focus on increasing your social shares. The more people who share your content on social media sites like Facebook and Twitter, the more people will be motivated to visit your blog / website. The best way to accomplish this is to write great headlines that are SEO optimized and persuasive in prompting people to click on your links. Also provide easy ways to share your blog posts. 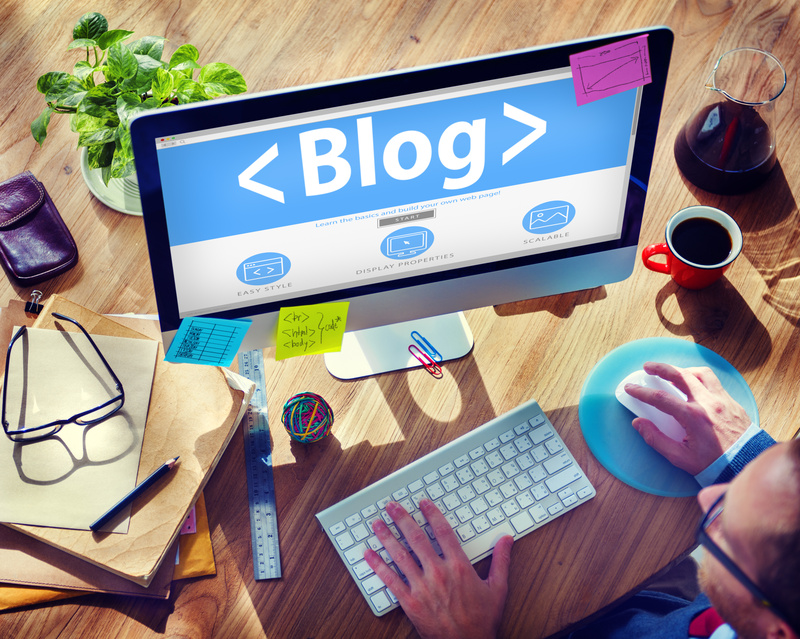 Plain and simple, you grow your blog – and in the bigger picture your brand – by networking extensively. Reach out every influencer in your niche. Connect with them, build relationships and frequently share their stuff on social media networks. Be proactive in every way you can to foster good relationships with influencers and other bloggers. Not only is it effective, it’s actually really enjoyable to make connections with others who have similar interests and aims, plus a strong interest in the digital space! This one is obviously a much more intensive step, but again it’s very worth the effort. Develop information products and marketing them allows you to develop what’s called a passive income stream. More like a steady trickle rather than an infrequent gush, if you will, and that’s actually really preferable in the long run. Build a specific list of email subscribers who are interested in your products and who are ready to buy stuff from you, and take leads from the people who are already making money by selling information products. Give commissions to anyone who helps you sell these products. Have a look at top bloggers and analyze their income reports to see that their major earnings come from by leveraging the power of their email list. Make sure to integrate your email list right from the beginning. One advisable step is to offer an incentive to boost your email sign ups and make sure to add value to the people by sending them useful newsletters often. Be wary of pitching your products too often – subscribers may end up unsubscribing from your email lists. Offer incentive to your visitors with a freebie. Freebies like eBooks, videos, infographics etc. can prompt people to sign up to your email lists. Use content upgrades to attract the right people to your email list. Offer a freebie that is relevant to your blog post or turn your post into PDF and make it easy for download. This way you can effectively build your list. 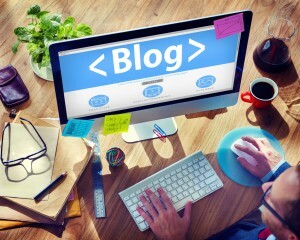 Most bloggers use WordPress to write and publish their blogs. WordPress web hosting is built specifically for WordPress. This type of hosting is often called Managed WordPress Hosting, with the entire infrastructure is designed to do one thing well—run WordPress! All 4GoodHosting clients will have access to a WordPress blog through their CP (control panel) and we’d love to hear about the successes – personal, financial, or otherwise – you’ve had with your blog hosted by us.